Edinson Cavani has confirmed that he may return to Napoli at the end of his Paris St Germain contract. The Uruguayan has always been linked with a move from the French club. It has been a consistent theme ever since he came to the club in a £ 60 million deal four years ago. Even though most of the initial transfer rumours were largely down to Cavani failing to secure a favourite central playing position, the Uruguayan has been the club’s first choice striker since Zlatan Ibrahimovic left in the summer. 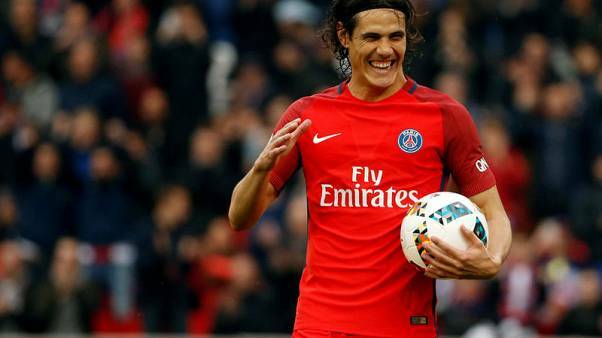 Cavani has not disappointed, as he has managed to score an amazing 33 goals in just 34 league matches. Yet, even now talk about a potential move away from PSG continues to persist. This time around, the striker has been linked with a return to Napoli, where he has had his happiest time in European football. At 30 years of age, Cavani seems to realise that he may not be able to secure a move to a top club. Hence, the likelihood of returning to Naples is a great option if he wants to stay in European football for long. The player recently signed a contract extension that will keep him at the club until 2020. Considering that he will be 33 years of age by then, PSG may very well let him leave on a free. "After PSG I don't know what will happen but if I will want to change team I may choose to return to Napoli and then go back home.If one day I return to Napoli I would like to return in good shape. Therefore I say we'll see at the end of my current contract which expires in 2020.I don't want to go back home when I will be too old, I would like to leave football at a high level, I wish. I would like to retire when I decide so rather than football leaving me," said Cavani.